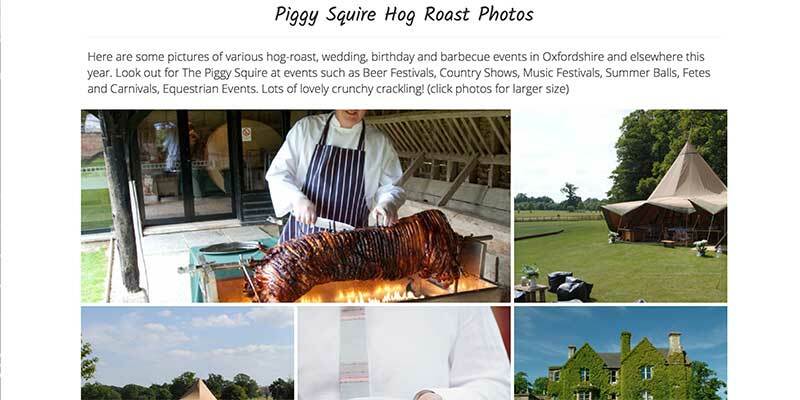 The Piggy Squire prepares and cooks locally sourced pig-roasts, lamb-roasts and beef-rib roasts at your party or event. Their local Oxfordshire butcher provides quality meat and their trained chefs set everything up and cook the food for you. They also do barbeques and innovative vegetarian menus. 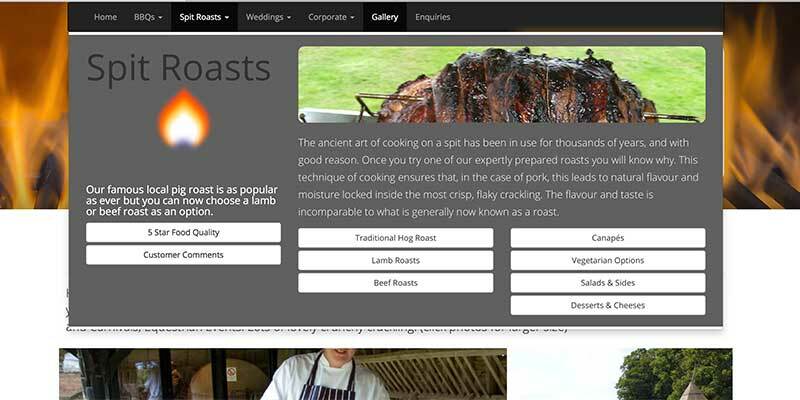 Our original 2006 website helped bring them start a thriving business and this new mobile-friendly site will allow them to keep the site fresh with the minimum of effort. Apart from an attractive design, clear navigation is important as ever; people want to go straight to the content that allows them to decide if it's worth reading on. The text is well-written and we include many nice, large photos to illustrate the business as well as 'chalkboard' menus that the owner can keep updated. The website has been extremely successful for the owners - in fact, their whole business relies on it. We were able to include a page full of dozens of testimonials from their happy customers - this is a good idea as it gives new potential clients confidence they'll get the same great service. The photo gallery also includes many images taken during pig-roasts as well as images of the food. Both sections can be updated with ease by the owner. Commercial templating systems can be confusing and time-consuming to administer the website, apart from being slow and a magnet to hackers. We only produce bespoke Admin/CMS sites where the user can concentrate solely on the content and make changes in the minimum of time. 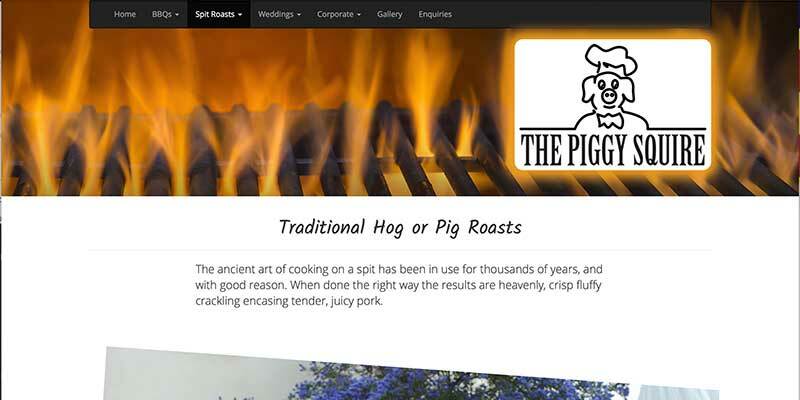 We host the website for The Piggy Squire and provide detailed real-time web-stats for them These are useful, not so much for how many 'hits' they get, but to see from where they get referrals and which pages in the website are most popular.